Going green can be very easy if you know what to do and do plenty of research before you decide to go green. Going green can help you decrease your carbon footprint and help the environment but it can also help you decrease your energy bill. All during the year we can have outrageous heating and cooling bills as well as outrageous power bills. 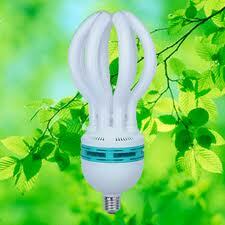 If we follow some simple power saving tips we will be able to save a ton on our power bills. You may think that just because your computer is turned off it is not using any power. Many people assume this and unfortunately they are wrong. Even when the off button is hit, there is still power going into the machine if it is still hooked to the power outlet. A phone left charging is still using power as is other appliances such as a radio that is left plugged in. The best practice is, if it is cut off go ahead and unplug it. If you unplug it there is no way that power could be going into that machine and being wasted. So remember unplug anything you are not using. Leaving multiple lights on in your home can cause your power bill to sky rocket. If you are not in a room, cut the light off. Do not leave lights on overnight as they will just increase your power bill. If you must leave lights on in certain rooms or have a night light, try and find energy saving light bulbs or even a solar powered light that can be turned on at night. This will help to decrease your power bill. When your heating and cooling system runs it uses extreme amounts of power. Instead of running your unit up on really high settings in the winter or really low settings in the summer months consider setting your unit on 72 degrees. 72 degrees is the ideal temperature and will help to keep your power bill in check. If you have an appliance that is old, hot water heater that is old or anything that uses power in your house that is old, you should consider upgrading to new products. New products can help save you a lot of money. Many older products take up a lot of power and are harmful to the environment. Replacing these will help to decrease your bill and decrease your carbon footprint as well. If you suspect that your home is losing energy from somewhere in the home consider getting an energy inspection. This power saving tip can help save you a lot of money. An inspector will come in and show you where you are losing your energy. Most of the time it is from inefficient windows or not enough insulation. These problems are easily fixed and will help increase your energy savings. Following these simple power saving tips can help save you a lot of money on your energy bill. Making sure that you take these steps will help you to also become green and become healthier for the environment.